When I have EvanTheGamer emailing me about games, that means it must be pretty awesome and I should check it out immediately. Well Evan, I checked it out, and now I hate you. 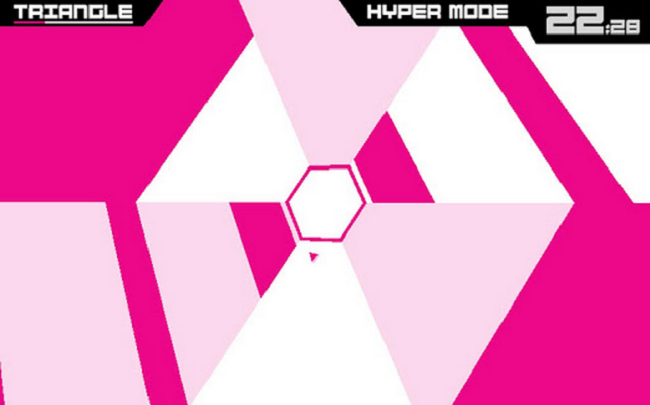 Super Hexagon, a game that is popular on iOS, is now available for Android. After a couple of minutes, I hate this game, but in a good way. You play as a little speck near the middle of the screen, then try to navigate your way through hexagons that come collapsing around you. The game is fast-paced and also has a pretty fantastic soundtrack to go along with it. To get a sense of my frustration, check out the video below. The game runs $0.99 in Google Play, which is very much worth it.